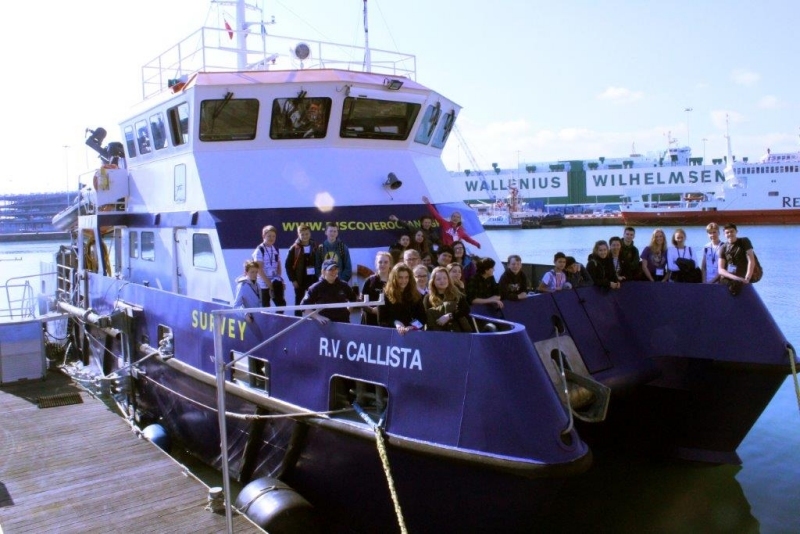 Sixth form biologists joined St Mary’s Puddletown pupils in Years 7 and 8 for an inspirational ‘Discovering Oceanography’ three hour cruise aboard the National Oceanography Centre’s floating classroom, RV Callista within the calm coastal waters of the Solent. 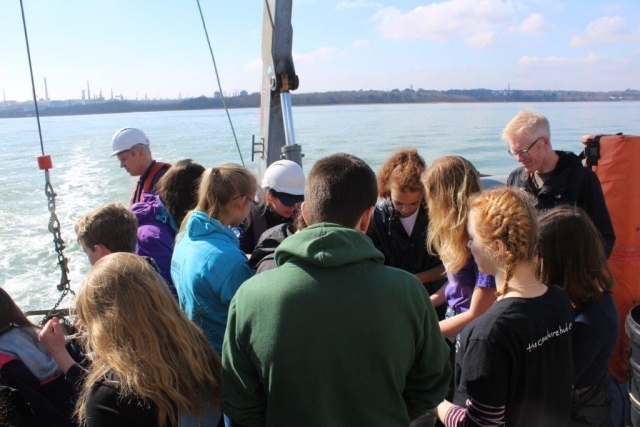 Southampton University’s marine scientists guided the students through a series of hands-on activities to give pupils a taster of research techniques that they use routinely: transparency of the water was measured using a Secchi disc; depth and profile data was collected for salinity and temperature; sediment samples from polluted and non-polluted sides of the estuary were collected with a grab and compared; a huge diversity of marine life became apparent from samples collected using coarse nets for dredging the bottom of the estuary (yielding many starfish), and fine nets for trawling surface waters for plankton. 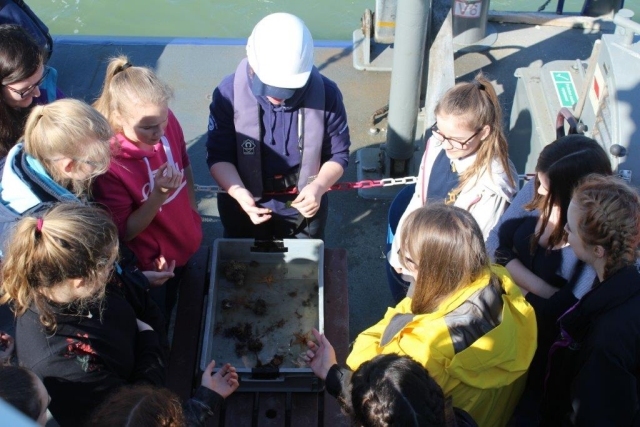 Back on land at the National Oceanography Centre they enjoyed a guided tour of the centre’s marine aquarium and finally Dr Rowe, Head of Biology at Thomas Hardye, gave the students a plenary session questioning them about their experiences of the day and relating it to possible careers in marine science to round off a very special day out. Thank you to Gary Fisher and the crew for an amazing day, helping Thomas Hardye School to celebrate British Science Week with St Mary’s Middle School, Puddletown in a very memorable way.